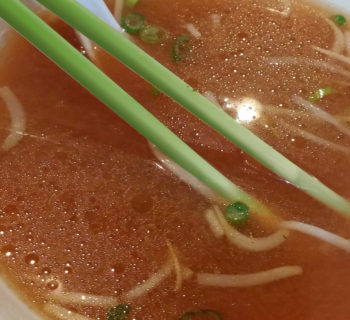 Home›Pho Corner: Everything Pho›Pho in the Philippines: Have Filipinos Taken to the Pho Phenomenon? 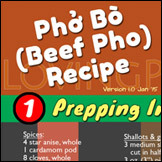 Editor's note: From time to time LovingPho.com features guest posts offering various interesting views on pho. This is a guest post from a Filipino acquaintance. Updated 09-15-09. 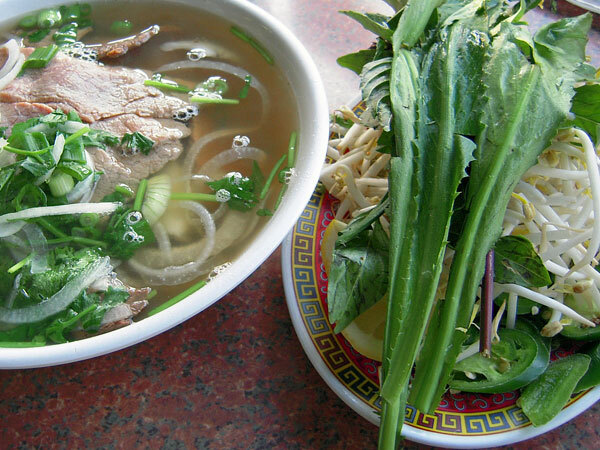 Vietnamese pho is, without argument, the most well-known noodle dish in Vietnamese cuisine. Pho noodle has swept all across the world, making those who tasted it so enamored with the dish that they always want more. So how is Vietnamese pho doing in the Philippines, a mere 1000 or so miles east of Saigon? 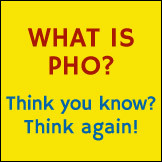 Are Filipinos as taken in by pho as, say, the Americans and the Australians? No doubt, Filipinos love good food. They have an active interest in food and they will try anything at least once. And since the Philippines is the land of the infamous balut (duck embryo) and barbecued chicken intestines, among other exotic fare, you can be sure in the knowledge that Filipinos can be adventurous with their food. This innate love for good food and the fact that the Filipinos are quick to embrace foreign cultures explain why foreign cuisine is so well represented in the Philippines. Spanish, Tex-Mex, French, Italian, Chinese, Japanese, Thai, Indian, Australian, German, Middle Eastern – you name the cuisine, and you are highly likely to find it in the Philippines. No surprise, Vietnamese cuisine is well represented in this country as well. Admittedly, the craze for Vietnamese pho has not yet taken root in the Philippines. The presence of pho in the Philippines can be felt, and pho does have its own fan base among Filipinos, but not as strongly as might be expected. The Philippines is a melting pot of cuisines and pho is just one among many that are trying to gain the fickle taste buds of the Filipinos. In the Philippines, pho has strong competition among both foreign and local dishes. Japanese and Chinese noodle soups are well loved by Filipinos, at least partially because they are very good and because they've been here much longer than pho. The notorious tom yam soup from Thailand has its own followings. In fact the Filipinos themselves have their own soups that are just as flavorful as pho. Pho Hoa. 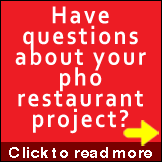 Pho Hoa belongs to a franchised chain whose parent company is based in California. Pho Hoa serves pho in the southern Vietnamese style, and diners can choose from many standard meat cuts they want in their pho. Pho Bac. 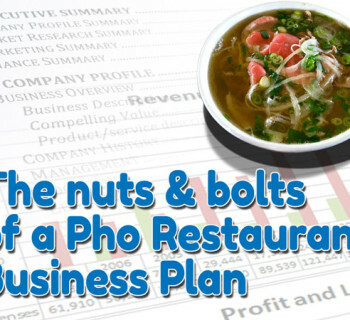 Pho Bac (Northern Pho) is also a franchised chain in the Philippines. Contrary to its name, the place does offer a choice of southern Vietnamese style pho. Pho 24. Pho 24, the most successful chain of restaurants specializing in pho directly from Saigon, Vietnam, also has a presence in the Philippines. Company owner Ly Quy Trung has expanded his company worldwide through franchise agreements, and the Philippines is among those covered. Independent pho shops. Many Vietnamese in the Philippines patronize other independent Vietnamese restaurants and Vietnamese pho shops as well. These are general established by Viet refugees before the franchises came in, their quality are very good, and they continue to be strong competitors in the pho war. If you want pho in the Philippines, you will definitely find it inside many malls and in Vietnamese and Chinese ethnic business areas. Authenticity is generally up there, and pho in the Philippines is as good as one can get within and outside of Vietnam. It has its niche of followers, but it still has a long way to go in the Philippines.